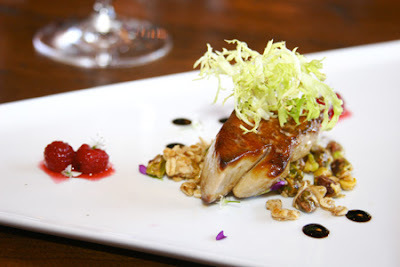 Chefs Daily Food Bank: Is Foie Gras Tourture? A must read article on the HUMANE practices of one American Foie Gras farm. I support Hudson Valley Foie Gras and have for quite some time. If you are not a foie gras "lover" or supporter I respect your decisions and reasoning's. But I would like to share what this reporter found out about this farm in particular. One of the servers at Tastings, who historically is opposed to and visibly disturbed by some of the food items we bring in and serve, sent me the link to this article. Her comment to me, was that after reading this piece, she feels much more comfortable with serving foie gras, as long as we are using a farm with practices like the one in said article, like we do. All of the duck product and all our protiens I use is certified humane, free range product. I believe we are all entitled to our own beliefs, but I also strongly believe that you need to understand the WHOLE story before you pass judgment.